Kasol to Manali distance is approx. 76 km. 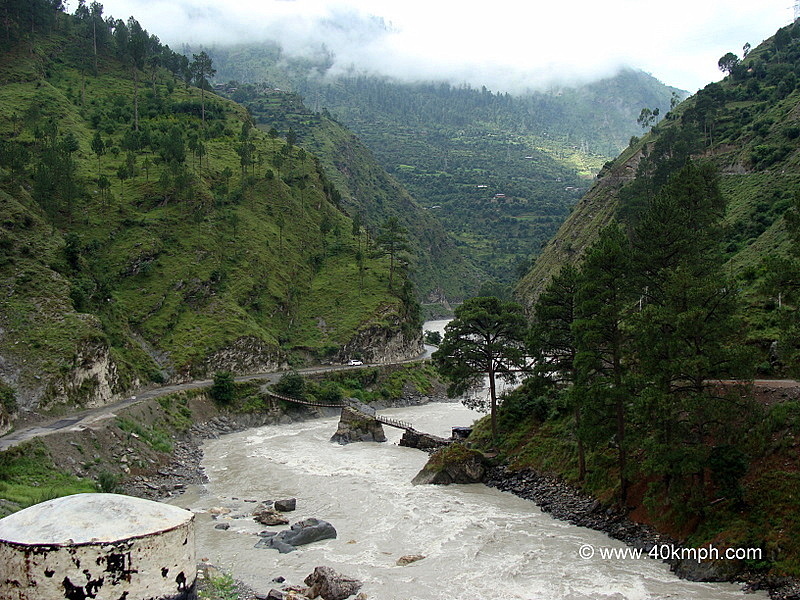 Manikaran to Manali distance is approx. 80 km. I covered Kasol to Manali journey during rainy season within three hours driving solo Royal Enfield Thunderbird Twinspark motorbike. But yes, I stop at Punjabi Dhaba (right hand side) for breakfast (Aloo Partha â€“ butter on top, mango pickle and hot cup of tea) after driving continuously for 21 km from Kasol.